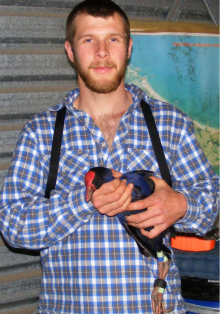 Cody Dey with a pukeko. Cody Dey, University of Ottawa alumnus and PhD student at McMaster University, is no stranger to the great outdoors. Cody’s passion for observing animals behave and immersing himself in the environments they inhabit has led him to many captivating places: snorkeling among Sand Lake’s smallmouth bass nests in Kearney, fly-fishing in the wondrous Alberta Rockies, and, most recently, studying the unique social hierarchies of New Zealand’s pukeko (Porphyrio porphyrio melanotus). 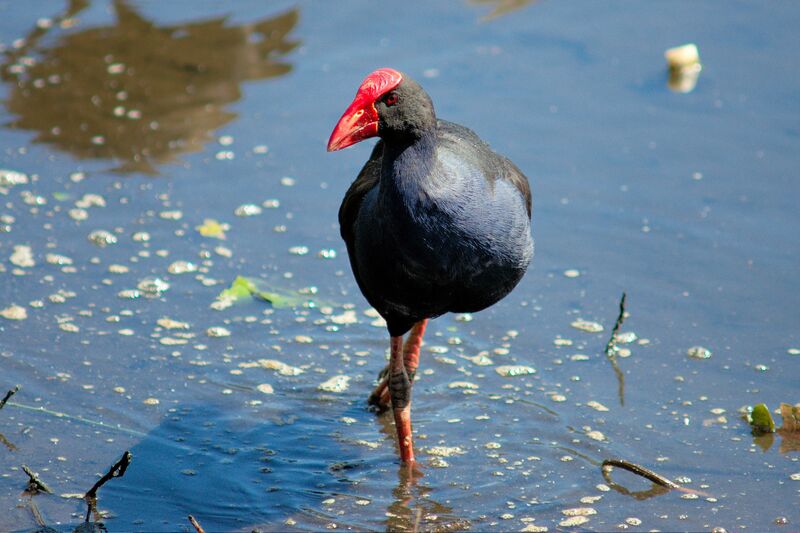 Pukeko are not your typical birds. Also referred to as purple swamphens, pukeko live in permanent groups with individuals competing against each other for mating opportunities, but also cooperating to raise chicks and defend territory against rival groups. Competition within a group results in the formation of dominance hierarchies. Hierarchies can be maintained by a range of different aggressive behaviours (e.g., pecking), but one has to ask: how do individuals know who’s the boss if all pukeko look the same? Pukeko with red head shield. Photo by Cody Dey. Cody’s PhD research, conducted at New Zealand’s Tawharanui Open Sanctuary, has provided answers to this question. Pukeko have bright red, fleshy shields on their head that they display when sparring with a competitor. Cody found that birds with larger shields displayed more aggressive behaviours and were more dominant within a social group. When the edges of the frontal shields were painted black to match feather colour and appear smaller, individuals were attacked and challenged more often. Having their social status threatened really went to their head; after only one week, manipulated individuals had reduced the size of their true shield. Disentangling the dynamics of social signals and status remains a fascinating topic in behavioural ecology as signals of social status are found throughout the animal kingdom – from black facial spots on wasps and colour changing stripes on fish to the bellows of deer and thundering roar of a human’s sports car, although the latter has yet to be supported scientifically. For more information on pukeko check out Cody’s interview on CBC’s Quirks and Quarks and his video, Badge of Status. 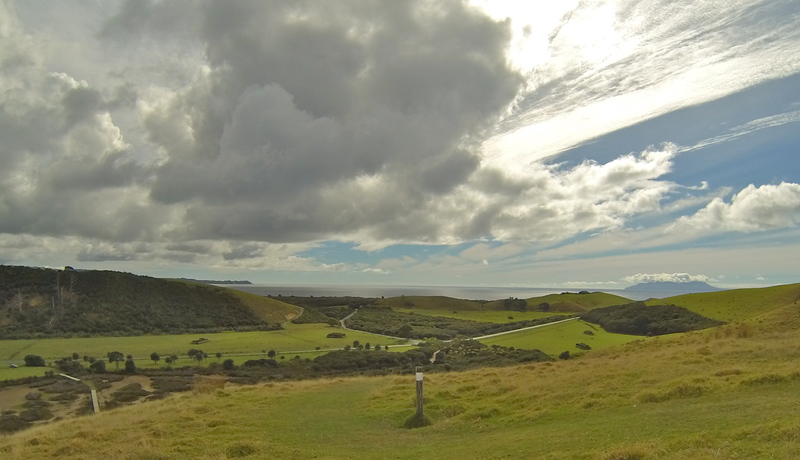 View from Tawharanui Open Sanctuary, New Zealand. Photo by Cody Dey.